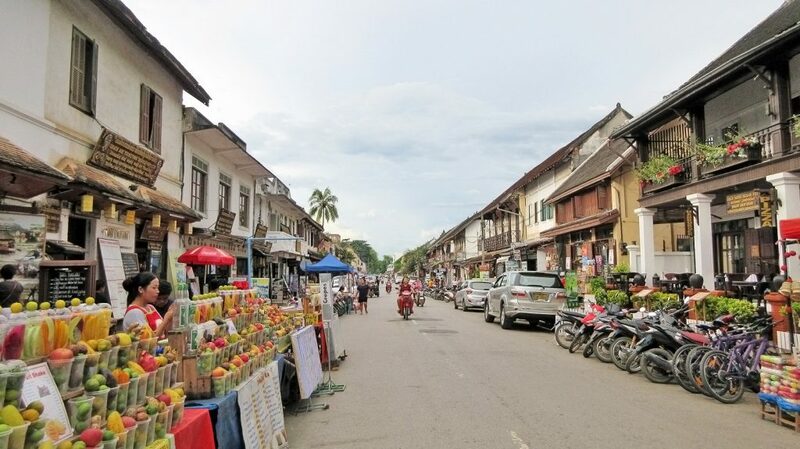 Luang Prabang is a sleepy town in northern Laos. It has a distinct culture, a laidback ambiance, nature surrounding it, and affordable accommodations and tours. 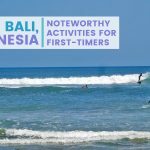 It is one of the destinations included in itineraries of backpackers and travelers with a bigger budget who are traveling around Southeast Asia. 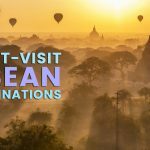 Here are some of the attractions and things to do during your visit. 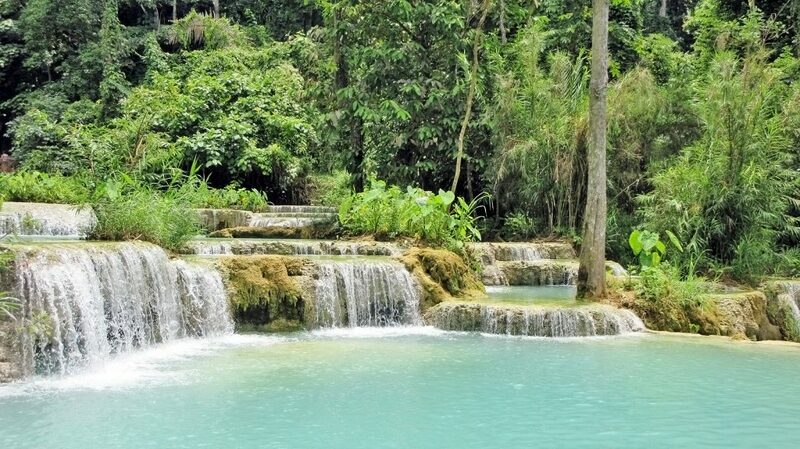 Probably the most famous natural attraction in Luang Prabang, Kuang Si Falls is a noteworthy addition to your itinerary. If weather permits, the waters will be glistening clear blue and cool enough to douse the heat of the tropical climate of the region. 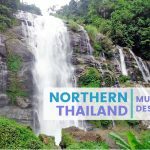 This multi-tiered waterfall has different sections, giving you enough time and room to get away from the crowds that often remain in its biggest and closest to the entrance and exit areas. Swim in the azure waters, swing and jump in, or simply admire nature’s beauty while spending half a day at Kuang Si. You can also go up a hill to wade or relax in an upper tier pool far from the crowds. Rising above the sleepy town’s skyline is Mt. Phousi. It is around 150m high and is a popular place for both locals and foreign tourists. It draws a crowd because of its bird’s eye and 360-degree views. Going up the hundreds of steps to the viewing decks is worth it as you’ll get to one of the best places to watch the sunset and sunrise. There are also a handful of temples where visitors can say a prayer and/or leave offerings before getting to the top. One of the day trips you can do from town is the Pak Ou Caves. It is centuries old and is culturally and historically significant to Laos. 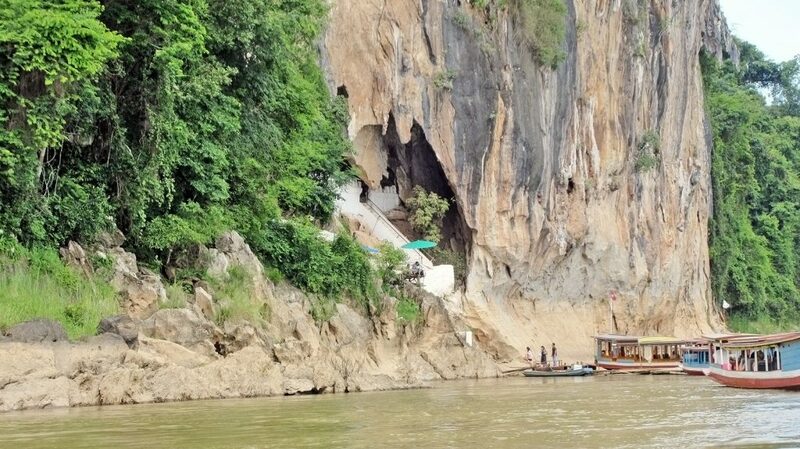 The caves are home to thousands of Buddhist icons and relics and have a shrine where worshippers can visit and leave offerings. It also has a beautiful location, with views of the surroundings characterized by towering cliffs, hills, and fields. There is a lower and upper set of caves that you can explore and visit. If you book a tour with one of the agencies in town, you will likely go on a scenic boat ride before arriving at the caves. 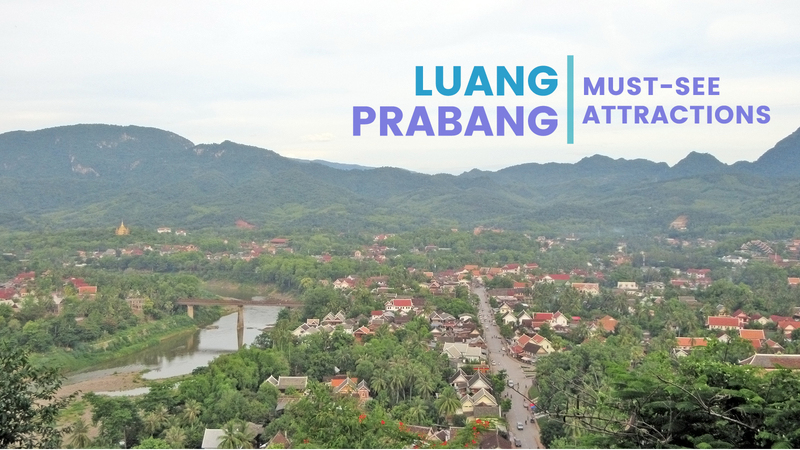 Luang Prabang has natural, cultural, and historical sites in and outside of it; one of its main draws is the old quarter. This quiet part of town provides you with a glimpse of local life that hasn’t changed much for years despite the obvious development you see around it. A walk in the old quarter will make you feel nostalgic as you go in and out of shops, restaurants, guesthouses, and other establishments whose owners renovated and maintained the town’s colonial architectural design. During your day exploring the town, you’ll see ancient temples and quaint buildings. At night, explore and shop for local goods in the market. There are many beautiful temples in Luang Prabang; one that stands out from the crowd is Wat Xieng Thong. It is a historical and cultural symbol characterized by a distinctly Luang Prabang design aesthetic — detailed carvings on its walls, beautiful deities of Buddhism, and a mosaic of the tree of life. This site used to be where ancient Lao kings held their coronation ceremonies and where festivals took place. The original temple finished construction in the 1560s and has undergone remodeling and some renovations in the last few decades. 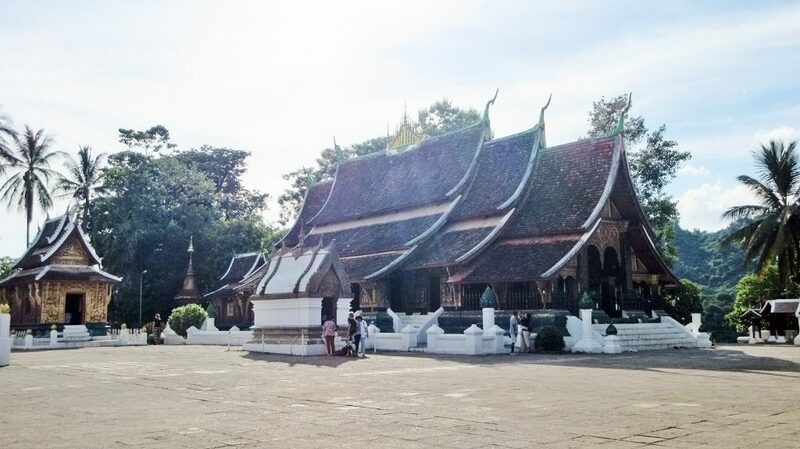 The mini-complex is a good place to stroll around and learn about Lao culture and history. 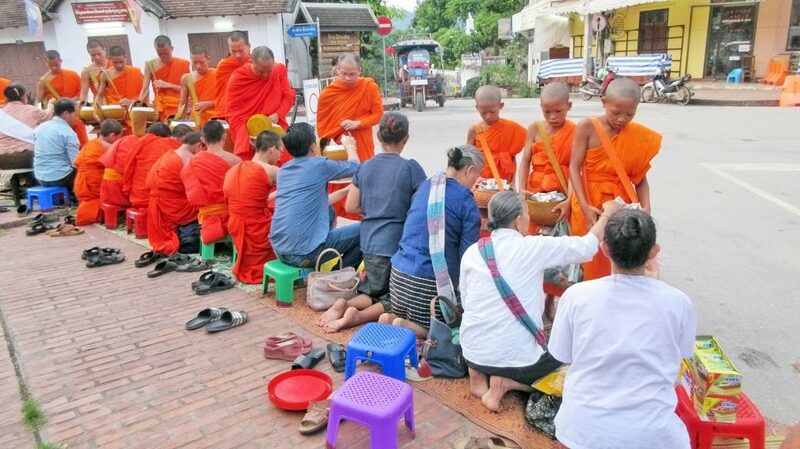 If you want to see one of Laos’ ancient traditions, visit Luang Prabang; here you’ll see the Alms Giving Ceremony taking place. You’ll see locals lining the streets waiting for monks to pass by. Once the monks arrive, they give their alms and say their thanks and prayers. This is a revered local ritual; however, as long as visitors respect the locals and the monks, they are allowed to participate and watch. The ceremony begins at around sunrise. If you plan to join and make an offering, purchase the things you want to give early and be ready even before the monks’ arrival. If you don’t want to participate and just take photos, keep a respectable distance away from the devotees and monks. This company is an organic farm that supplies fresh produce to different establishments in Luang Prabang. You can either be a spectator or participant by immersing yourself in farming during your visit. You’ll have a guide teaching you the Lao’s traditional ways of planting and farming. You’ll also get to see the countryside and interact with locals and get a glimpse of their daily life. 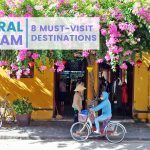 These are some of the things you can do during your trip around Luang Prabang. 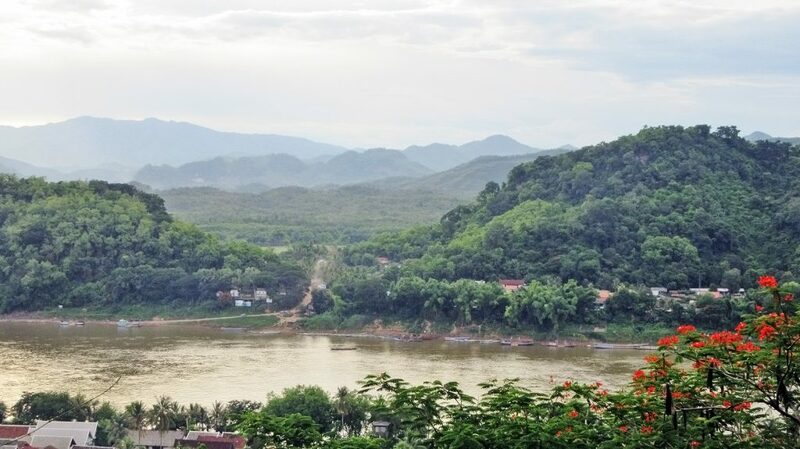 This sleepy town is a good place to get a glimpse of Lao culture and history.